.primary good hatchery news including upcoming calls, exhibitions and opportunities. The Trout Hatchery at iDeath was built years ago when the last tiger was killed and burned on the spot. We built the trout hatchery right here. The walls went up around the ashes. The hatchery is small but designed with great care. The trays and ponds are made from watermelon sugar and stones gathered at a great distance and placed there in the order of that distance. The water for the hatchery comes from the little river that joins up later with the main river in the living-room. The sugar used is golden and blue. There are two people buried at the bottom of the ponds in the hatchery. You look down past the young trout and see them lying there in their coffins, staring from beyond the glass doors. They wanted it that way, so they got it, being as they were keepers of the hatchery and at the same time, Charley's folks. The hatchery has a beautiful tile floor with the tiles put together so gracefully that it's almost like music. It's a swell place to dance. There is a statue of the last tiger in the hatchery. The tiger is on fire in the statue. We are all watching it. 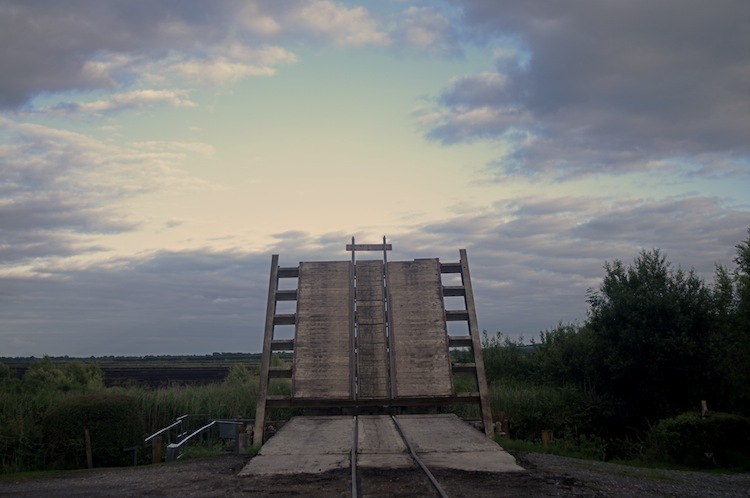 The Good Hatchery would like to announce that after 9 years of ambitious, experimental and in-depth work in the boglands of North Offaly, the residential studio project and art space at this location is now coming to an end. 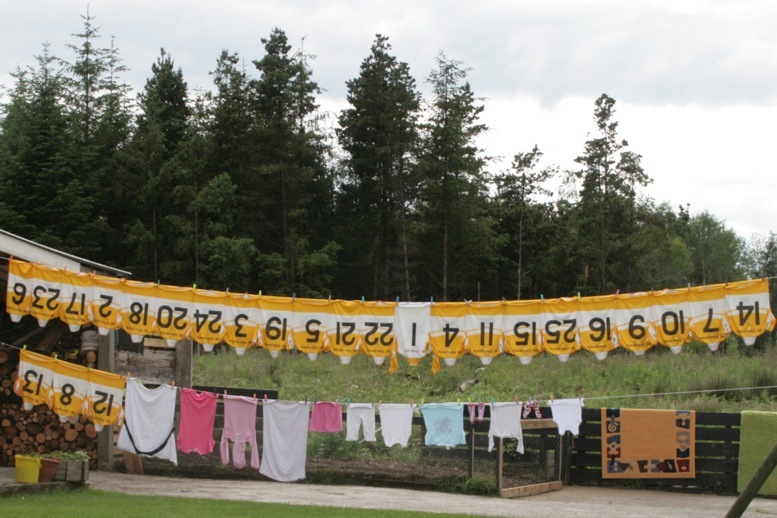 Since its inception in 2007, TGH has been an evolving, fluid and organic project in the deep rural that has been dedicated to the production of new art works that question their own relationship to place. This new development is a major milestone, marking the closure of the refurbished 19th century building as residential artist studios. 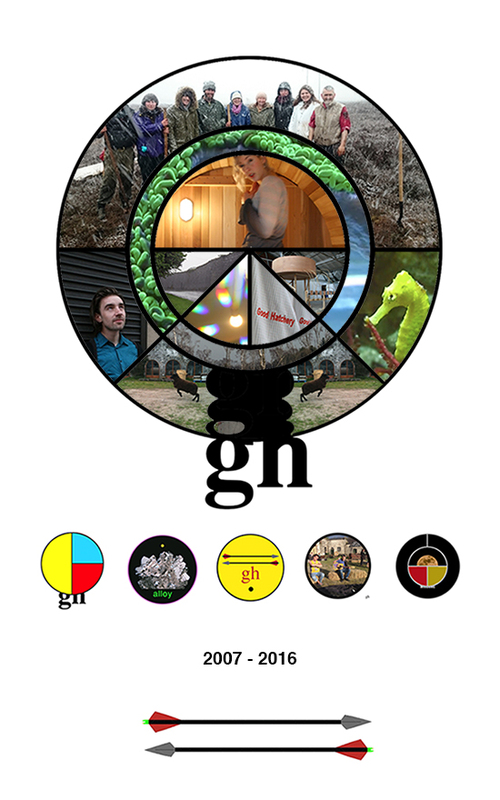 TGH is now a foot loose organization, it will continue to operate as an umbrella for future projects with a similar ethos and outlook within the lands of Clonearl and beyond. At this point, we would like to take this opportunity to publicly thank Eileen Hanlon, the extra-ordinary woman who kindly offered up the building that homed TGH for 9 years. Eileen continues to generously open up the lands of Clonearl to creative projects, with an integrity and commitment to exploring alternative ways of living in and engaging with a rural landscape. We would also like to thank all of the artists that have spent time at The Good Hatchery and lent their help and presence, especially all founding members. Thanks to the Arts Council of Ireland and the Offaly Arts Office for their support in 2010 and 2011, all the galleries and institutions that have worked with us so far and the many people that through recycling networks and in more informal ways have crucially enabled our development. The hayloft that housed TGH is entering a new phase and will now be leased to new residents who will be starting to promote and farm rare breeds, starting with Tamworth pigs living free in the woodlands. The Good Hatchery ethos and its artists will always have a place within the landscape of Clonearl. 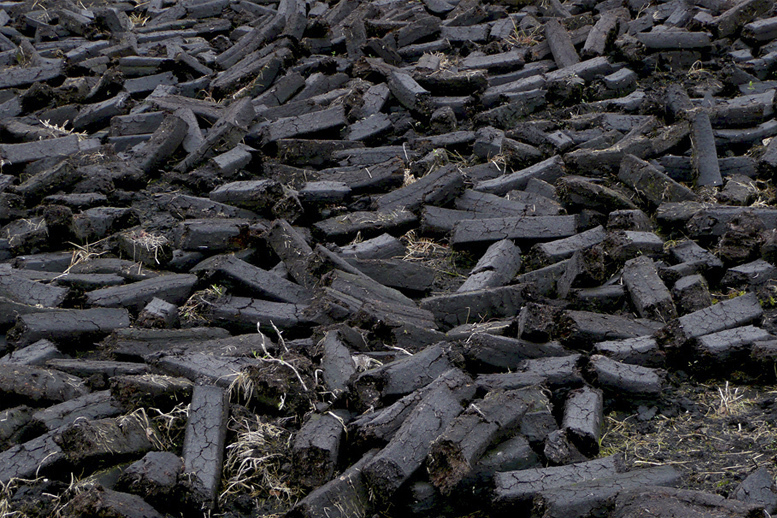 Over the next months TGH will be tying up operations at its Offaly base and looking to the future bogs and far beyond. Thank you to all the fantastic, imaginative and daring artists that have worked with us over the years. It has been amazing! Carl , Ruth + GH. 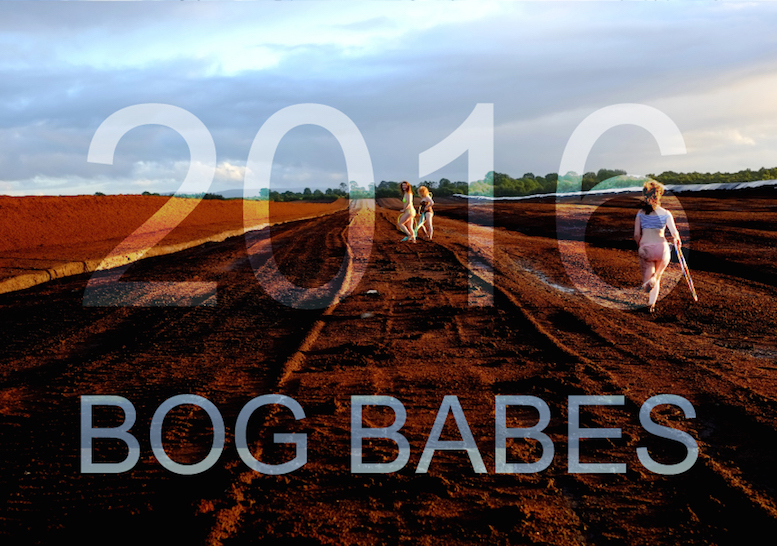 Bog Babes is a beach calendar shot on the industrial boglands of North Offaly in the summer of 2015. The models for the calendar are some of the most amazing, women, artists and friends of Good Hatchery. In addition to 12 stunning, surreal images the calendar also features an essay 'Dream Pool' a meandering critique of fuel economy, oil and the human body in this accelerated reality. The calendar is on sale in Petrol Stations around Ireland. Bravo Serotonin pulls into Grand Canal Dock, Dublin. 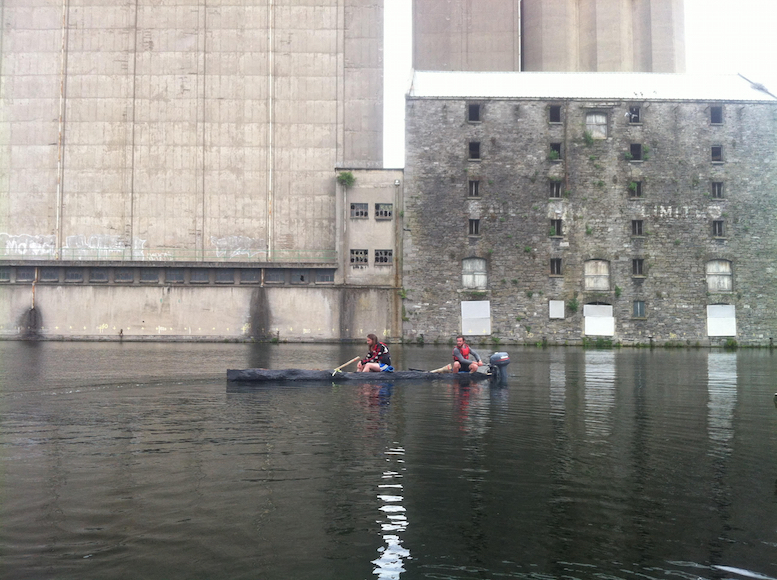 Bravo Serotonin, 1 tree made into a boat by 27 people, finishes its voyage from Daingean, Co. Offaly to Grand Canal Dock in the heart of Dublic city. 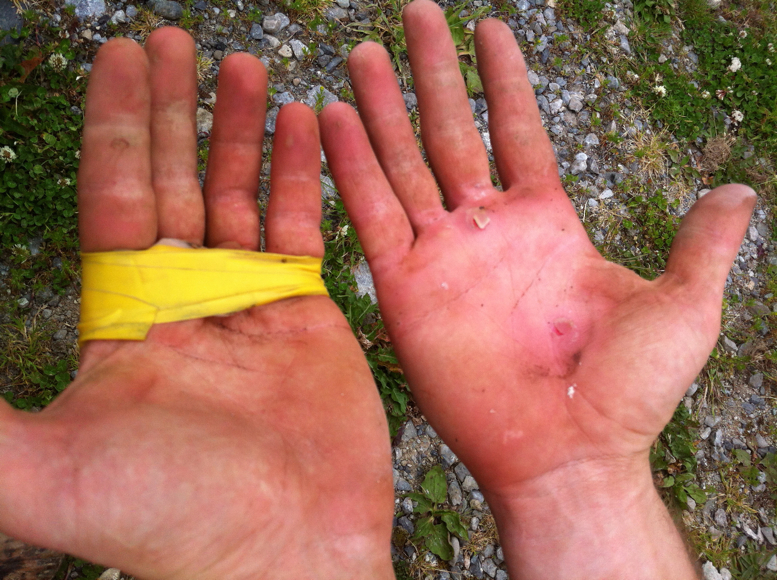 Travelling from Irelands epicentre, they covered 80 km in five days and traversed THE BOG OF ALLEN. The crew are: Andreas Kindler von Knobloch, Emma Houlihan, Ann Maria Healy and Carl Giffney. 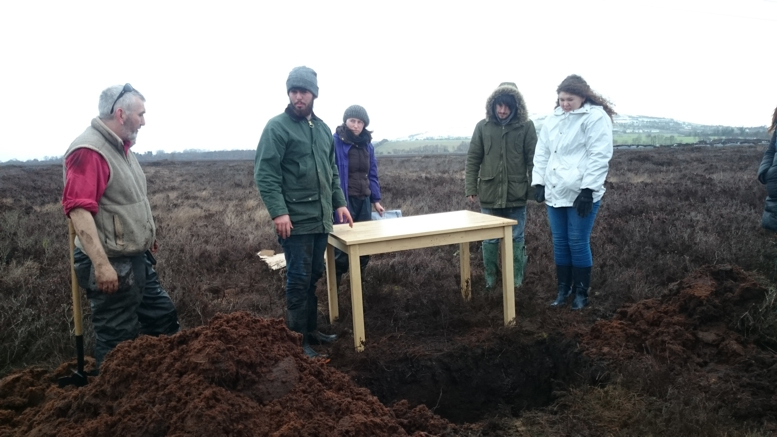 Bog Burial- a one day project on The Bog of Allen where articles from global furniture giant IKEA will be buried in the bog to become preserved as bog wood. 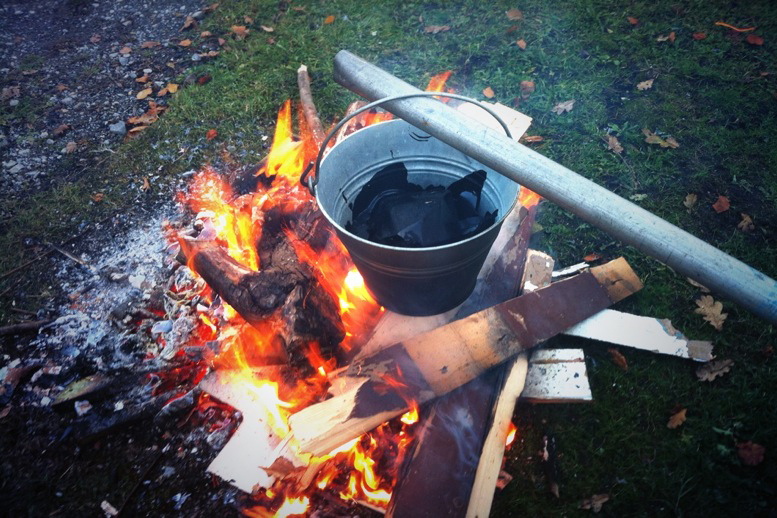 This project has been developed by artist Gareth Kennedy (NCAD) in association with Aidan O'Sullivan and Conor McDermott of Experimental Archaeology at UCD. It is conceived as a one day testing ground for mixing the skills, knowledge and methodology of students from Experimental Archaeology with those of contemporary makers studying Fine Art Sculpture. The Good Hatchery will host the project. 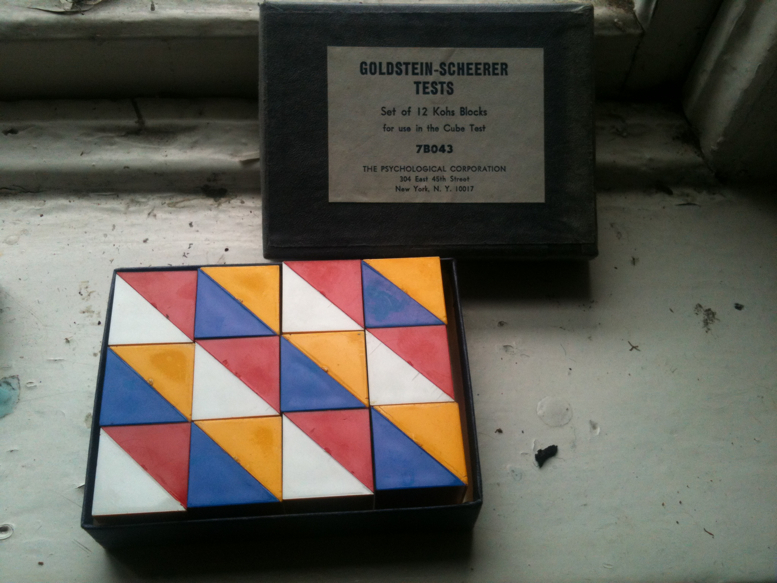 as part of the programme for the exhibition The Pattern Exchange. NEW MEMBERS : The Good Hatchery announces member artists 2014/15. 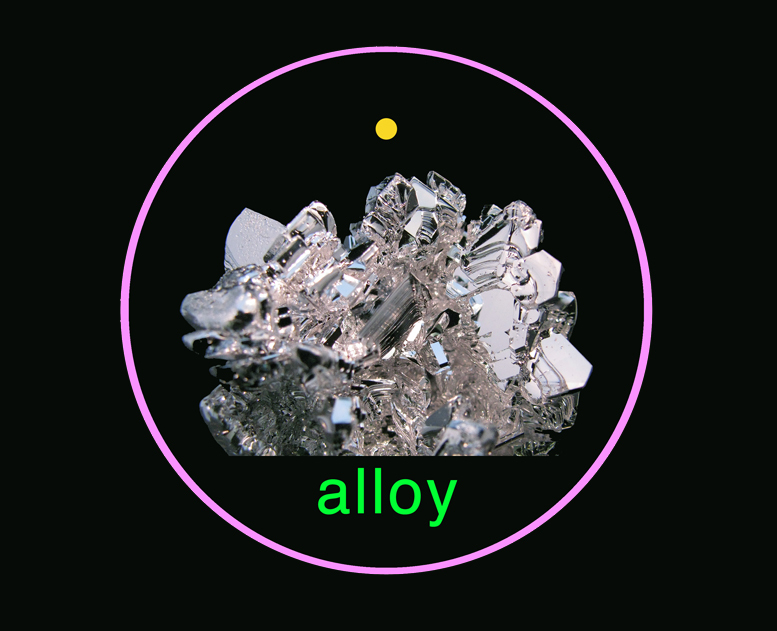 ALLOY : The Good Hatchery graduate award. The Good Hatchery is happy to announce that Ciarán Kavanagh from Corks Crawford Art College is the winner of the 2014 graduate award. He will be a member of the GH for one year and also undertake a thematic residency of local connection. 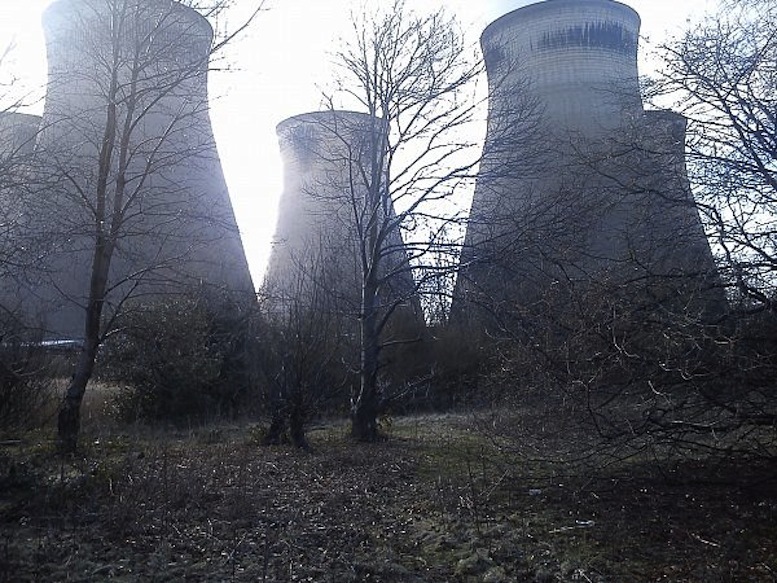 As part of Follies of Youth, Pavilion (UK) is commissioning three artists, Ruth Lyons, Giles Bailey and Amelia Crouch, to respond to three landscapes in Yorkshire that all are attributed to C18th designer Lancelot ‘Capability’ Brown. 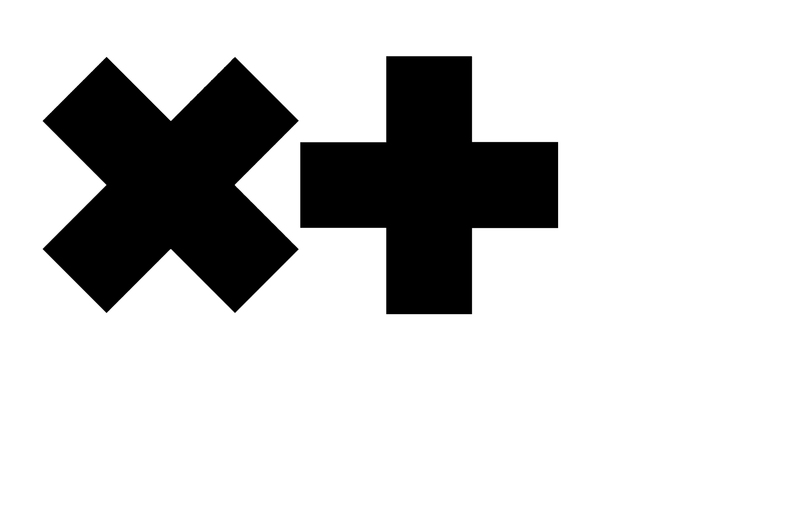 Pilot Light is an exchange that will take place between researchers from Pavilion and The Good Hatchery. 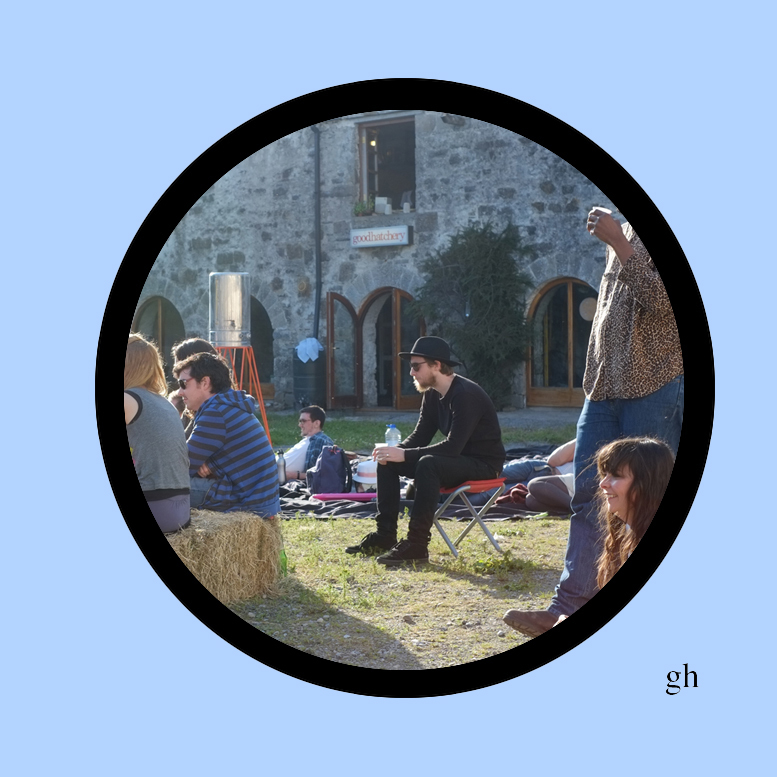 Over the course of 6 days these artists will work with Good Hatchery member artists to investigate the landscape of the 18th century Clonearl Demense. The group will do this by researching, designing, building and operating a lime kiln on the land. Pilot Light Exchange is an exploration of the substance of landscape with a particular focus on Limestone, as a medium for understanding the historical perception of land in the 18th century and the origins of today’s global industrial age. Limestone is one of the most common geological substances on earth roughly 50% of Britain and Ireland is underlain by limestone.The stone is formed from the remains of shells and bones of millions of tiny sea creatures condensed at high pressure over millennia. Lime CaO is a binder that is responsible for holding our bones, teeth and the shells of creatures together. When Limestone is burnt at high temperatures carbon dioxide is burnt off and what remains is the lime or the sticky stuff. Lime has various uses from farm fertiliser, water treatment, sugar refining but most commonly; building in the form of concrete and mortar. 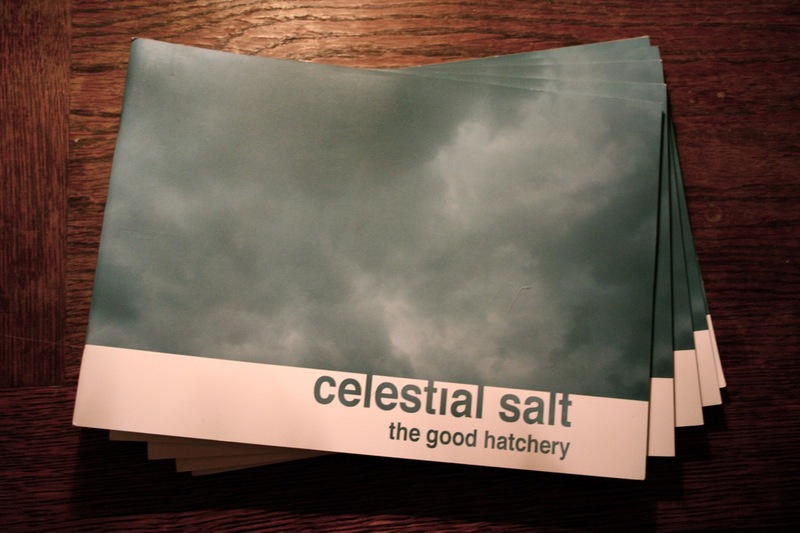 The Good Hatchery is happy to announce its Open Call for membership applications. Over the last year the Good Hatchery has undergone major renovations and refurbishments. 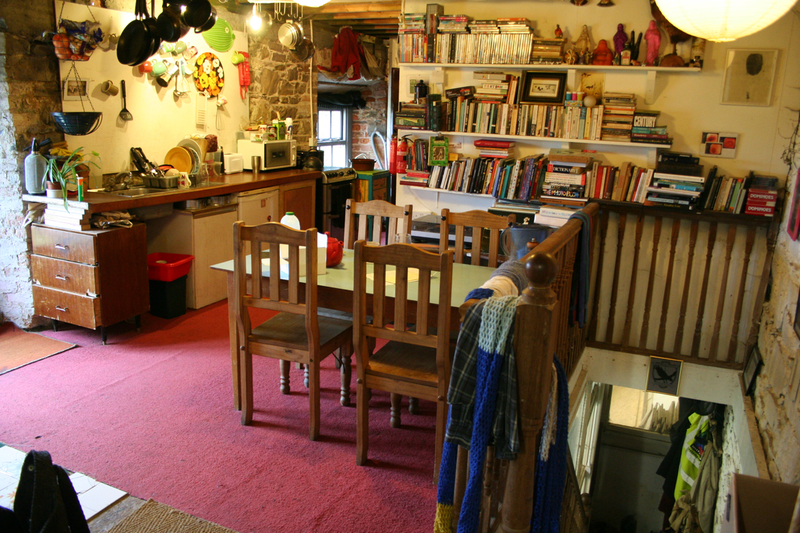 Gone is the old roomed system and the new open plan space comes with new kitchen, bathroom, library and studio space. Renovations are almost finished in time for Arrow Arrow. To celebrate the completion of a year long renovation The Good Hatchery is proud to launch Arrow Arrow. Arrow Arrow has seen the complete refurbishment of studio, residential and workshop spaces along with new insulation, heating and fixtures. 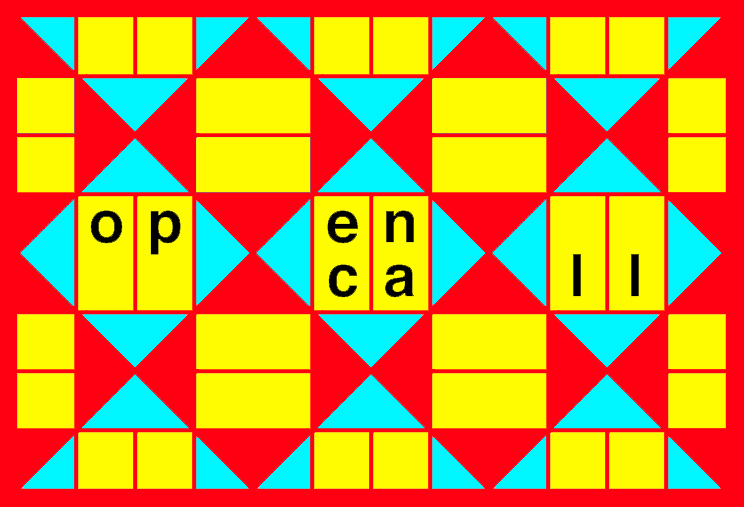 In the coming weeks The Good Hatchery will advertise an open call to select a new board of member artists whose work will steer the directions of the artist led space. Curated projects, events and residencies will be run by the members and directors Carl Giffney and Ruth E Lyons. The Good Hatchery’s main objective is to support the development of innovative, ambitious art practices that consider their own relation to place. To mark its 7th birthday and to Launch Arrow Arrow, The Good Hatchery will have its first Open Day, with live music, action, installation, fire, food and spoken word. Arrow Arrow launches at The Good Hatchery Studios on 28th and 29th June 2014. RSVP is essential. Please email thegoodhatchery@gmail.com for details. In late 2013 / early 2014 The Good Hatchery changes into GH3. A cyclical renovation of all spaces, indoor and outdoor, along with all facilities and installed works will bring it into its third phase. GH3 sees a new board of members and the removal of old spaces featured above. click images for link ? 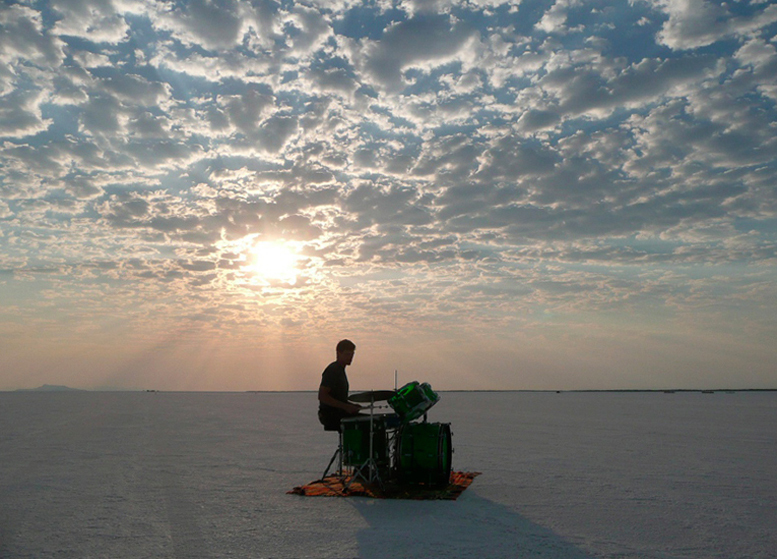 Andreas Kindler von Knobloch [IE] is Julys artist in residence at the Good Hatchery. 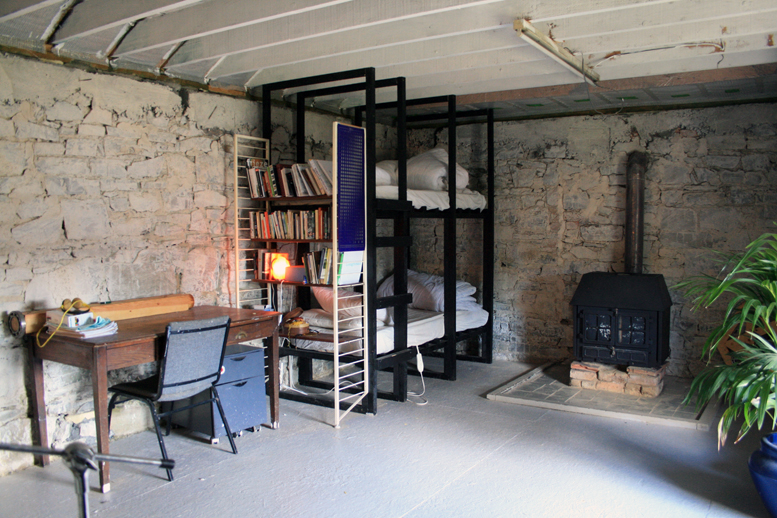 Stephen Lacy [US] and James O' hAodha [IE] are Junes resident artists at the Good Hatchery. Series Sauna is The Good Hatcherys first series of programmed discussions. 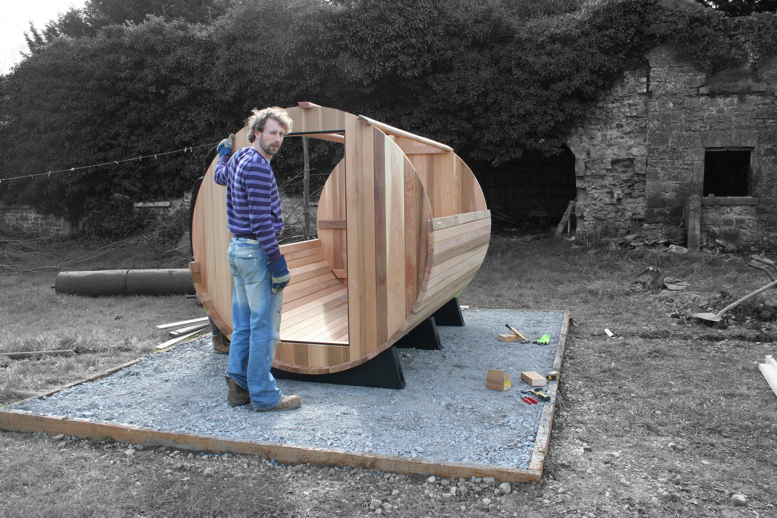 They will take place inside a 6 person cedar sauna that has been installed on site. image. Francis Quinn on residency. The second portion of Bravo Serotonin is about to take place. It sees an 800 KG boat being motorised and taken on a voyage along the Grand canal. New .pdf downloads of previous publications available in curated projects.